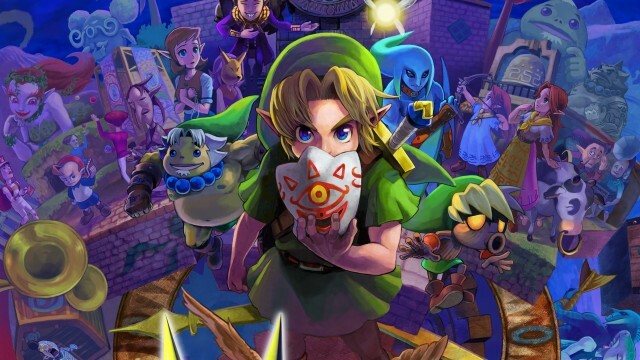 The Legend of Zelda: Majora’s Mask official website showcases the story, artwork, and trailers. The Legend of Zelda: Majora’s Mask 3D will arrive on the Nintendo 3DS, alongside the New Nintendo 3DS XL, next month. In anticipation of the long-awaited remake, Nintendo has opened an official website for the game. The website features gorgeous character artwork, along with two gameplay trailers, pre-order information, differences between the 3DS and New 3DS experiences, and two locked tabs indicating more information is yet to come. The website also features a stylistic introduction to several story arcs, utilizing famous character quotes to showcase different areas of the game. The Legend of Zelda: Majora’s Mask 3D falls to the surface February 13. Check out the website here.